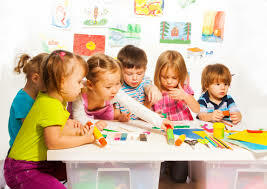 Children are exposed to unique learning experiences through our enrichment program. Each class compliments our already rich curriculum. Classes run on a monthly schedule and are announced with advanced notice prior to the start date. Students will read themed books, learn about different animals and finish by creating a relevant craft. Students will be studying famous artists and will recreate their masterpieces. Students will create printable books to create together and have group discussions. Students will reflect on the moral of the stories and make a craft relating to the stories. Students will create objects and explore the art of sculpture. An exploration of creative play, problem solving, mystery, and sleuthing .